A top destination, for a multitude of reasons, China’s Beijing has soared in terms of popularity in recent years. Its growing popularity is largely due to its multitude of attractions, as well as its growing number of air connections. 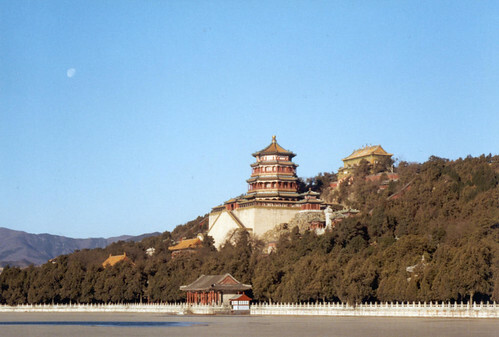 Top sites to see in Beijing range from the most touristic destinations to less so but definitely worth seeing sites. There are, in fact, some top sites to see in Beijing that have not become top on the tourist trail, yet they are impressive and enticing to any traveller. Low cost airline tickets have made China a lot more accessible to the West, with some providers offering return tickets as low as £350. Beijing conjures up images of the famed Tiananmen Square, the Great Wall and the Forbidden City. These celebrated sites are iconic for unique reasons. Take the Forbidden City, for example, one of the most famous sites to visit in the world. The magnanimous palace compound of China’s yesteryear, the Forbidden City is a perfect example of great historical preservation. Previously home to 24 emperors of the Ming and the Qing dynasties, it is now known as one of the most important palaces in the world and is a UNESCO World Heritage site. It is an impressive and awe-inspiring site which is host to over 90 palaces and covers over 178 acres. This is one Beijing attraction which is definitely worth a visit. The huge open space of Tiananmen Square is impressive to witness. Located in the geographical centre of Beijing, this vast square is decorated with ornate and beautiful flowers. Many people visit the square to see the raising of the national flag, which is quite a spectacle. There are three musts-sees within Tiananmen Square: Tiananmen Tower, the Great Hall of the People and the Mao Zedong Memorial Hall. No trip to China is ever free of the mention of the Great Wall. 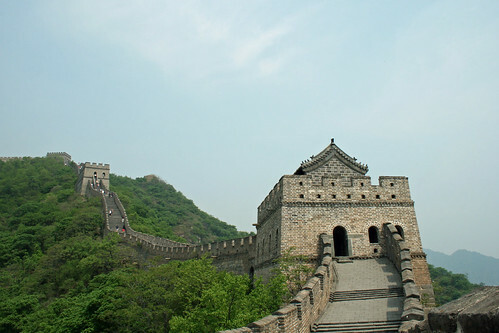 From Beijing, you can take a trip to cover some of the expanse of the Great Wall. Its popularity is totally warranted. After all, what is not impressive about this magnificent architectural accomplishment? The longest structure built in the world, and declared as one of the Seven Wonders of the World, the Great Wall is beyond majestic. Having mentioned the great tourist sites of Beijing that must definitely be seen, it is also worth discovering other sites, attractions and things to do in Beijing. Why not take the afternoon to visit the Summer Palace, or perhaps adventure to a pearl or silk factory to find out more about China’s famous exported goods. For fun sites, why not head to Beijing Zoo and see the Panda House? Beijing Zoo is huge and host to an array of different exhibitions and shows. The Panda House is the most popular. The animal spaces are large, taking into account the size of the animals. The entirety of the zoo is arranged and decorated in an old Chinese fashion and is fun to see.